Indian MiG-21 Bison Crashed Near Pakistani Border: Reports 5 out of 5 based on 1 ratings. 1 user reviews. On March 8, a MiG-21 Bison of the Indian Air Force crashed outside the city of Bikaner, India, about 100 km from the Pakistani border, during a ‘routine mission’. The pilot of the warplane safely ejected. The crashed fighter jet was based at the ob Nal Air Base in Bikaner. “[This] afternoon a MiG-21 aircraft on a routine mission crashed after getting airborne from Nal [Air Base] near Bikaner. Pilot of the aircraft ejected safely. A CoI will investigate the cause of the accident,” the Air Force said in a statement on the issue. 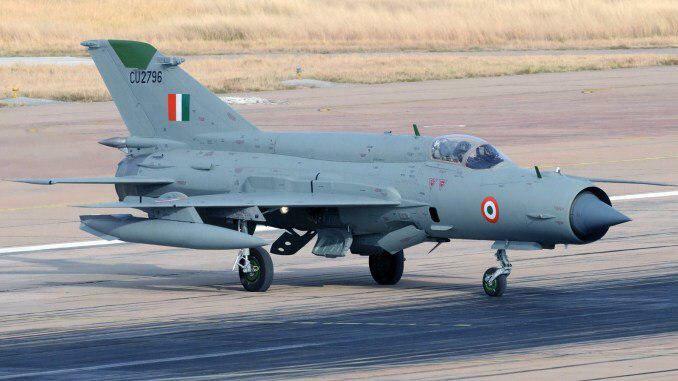 The incident took place amid a recent escalation of the Indian-Pakistani conflict over the Indian strikes on targets inside Pakistan and the followed shot down of an Indian MiG-21 jet by the Pakistani Air Force. Southfront is doing an excellent job covering a wide range of issues. Like I said from get go, that in this age of smart phones nothing can remain hidden. 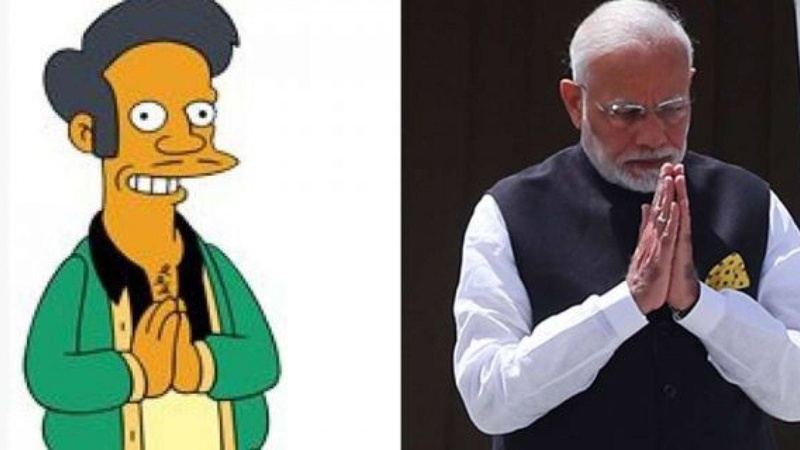 Indians idiots have lost 5 planes and one helicopter in the past few days. They will no airforce left a this rate. India has also lost a Jaguar yesterday near Bengal. The tally since the Zionist goaded morons took on the PAF last week has been 2 Mig 21 Bisons, 1 Jaguar and 1 SU-30 MKI and 1 MI-17 helo. This flying coffin Bison upgraded by Zionist scum went down in Bikaner’s Shoba Sar ki Dhani area in the Rann of Kutch region where India had previously fought an unsuccessful border war with Pakistan in 1965. Do you really expect ppl to take your seriousely after the imout of miss information you have spewed? FFS their is littearly no evidance of any SU-30 beeing shot down. Wtf do curry niggers have to do with the fact that their is 0 evidance any SU-30 was shot down. I have not blocked zio-evil yet but I do skip his comments. “IT” is the village idiot. Best to be ignored. 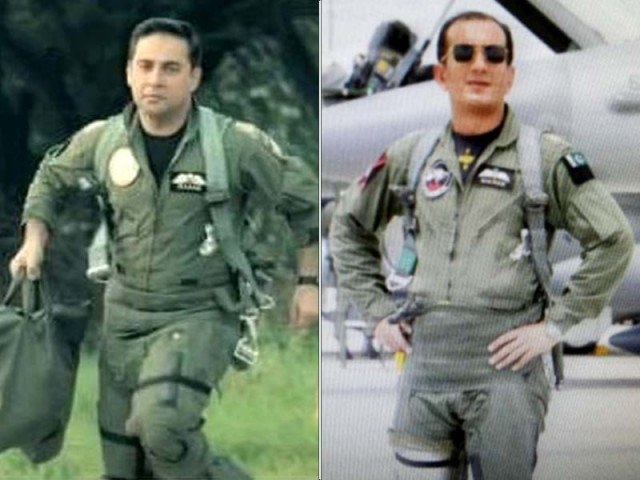 Squadron Leader Hasan Siddiqui and Wing Commander Nauman Ali Khan nominated for Sitari-e-Jurat, Pakistan’s second highest military award for valor. (Star of Valor) for shooting down a Mig 21 and SU-30. The flying casket strikes again. Why are India’s air force planes falling out of the sky? The latest incident came earlier this week, when a Russian-made Sukhoi-30 crashed in eastern India – both pilots surviving after ejecting for unspecified reasons. has become known as the “flying coffin” or the “widow maker”. that more than 437 the 872 MiGs it had purchased from Russia had been lost in accidents, at a cost of over 250 lives.These figures do not include recent losses to Pakistan in India’s ill-fated air campaign. you do have a mental problem and it is obvious. You know what we say for people like you that remind a windmill that turns in all directions even when wind dont blow? The whore want to hide it, but the joy dont let her. Why you resident retard, you have a problem with the truth, dumbass ROFLMAO :) you must the pride of your special ed class. While you ridicule India for flying 3rd generation (60 year old design) jet. Your Iran does exactly the same as far as I know. MiG is one of the best jets ever made and if they have accidents after so many years there is no surprise. Much newer jets fall from the sky. Not correct. Iran has barely lost 17 aircraft since the end of crazy Saddam’s war. Not one F-14A has been lost. You need to check some figures. Some F-4E and F-5E have crashed initially due to 40 year old total embargo on spares by Americunts. Thankfully, no fighter crashes recently. Indian cow piss drinkers have crashed half their airforce and or it shot down despite crawling up Russian and Americunt arse. True fact!